Interesting Reports Developing That Swansea Will Soon Have To Pay More Money For Winger – is That Why He’s Not Playing? 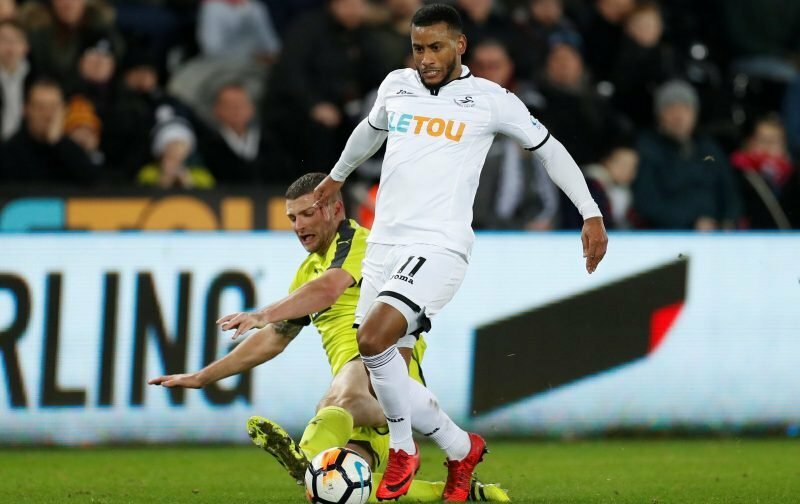 Speculation has been emerging this weekend suggesting that Swansea City will soon be required to pay further money to Dutch outfit PSV Eidenhoven for winger Luciano Narsingh when he makes a certain of appearances. We wouldn’t normally write articles regarding speculation from social media but we feel that this is something worth looking into as a number of Swans fans have been questioning why the 27-year-old has yet to be included in a matchday squad in the Championship this season. Considering our lack of options in the side and the fact that new signing Joel Asoro has failed to impress so far, you have to wonder why Narsingh has not even featured on the sub’s bench so far. He was involved during the Summer pre-season games and following Jefferson Montero’s recent thigh injury, he was expected to be included but instead Potter gave bench places to Nathan Dyer and Wayne Routledge. Here’s the original rumour posted on Twitter which suggests that Narsingh is only a couple of games away from triggering a clause that would require the Swans to pay further money to his previous club PSV. Now again, this is only a rumour but the reason we’re writing about it is because journalist Alan Nixon has himself suggested there is truth in these claims. Alan Nixon has been first with some transfer news during the Summer. He was early to report that we were signing Jordi Govea and Joel Asoro, as well as Cameron Carter-Vickers on loan from Spurs but there were also a few misses as you’d expect. Nixon’s tweet is below and he says that the rumours are “correct” regarding the “extra payment”. Nixon also suggests that manager Graham Potter is “not a huge fan” of the winger while others may think it’s simply instructions to not play him due to the required payment. The Swans failed in their attempts to get Narsingh off the wage bill during the Summer so it’s understandable why he’s not currently in Potter’s plans as he was a player amongst the expected leave list during August. 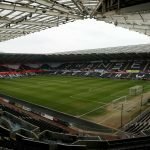 Nixon was questioned further on Swansea City’s current wage bill and as well as the above tweet, he also added that there are still some high wages remaining. I’d expect the likes of Tom Carroll, Kyle Naughton, Leroy Fer and Wilfried Bony to be amongst our highest earners having been first-team regulars in the Premier League for us. You also can’t ignore Wayne Routledge and Nathan Dyer who surely signed a decent contract a few years ago. Let us know what you make of all this, is it true or is it simply a case that Narsingh isn’t in Potter’s plans? It was revealed a few weeks ago when a private messaging conversation was leaked that vice-chairman Leigh Dineen said that Narsingh expressed a keen desire to leave the club as soon as our relegation from the Premier League was confirmed. Sounds like the Anti-Swans/Americans/board is getting desperate.